Jeremy Dean was born and raised in Oklahoma. He has been singing his whole life and songwriting as soon as he could play his first three guitar chords. His first commercially recorded original song was a song he penned in High School, titled "The Table Grace Prepared," a Gospel cut included on the "Forever Friend" project by Grammy-nominated, award-winning, entertainer, Barbara Fairchild. 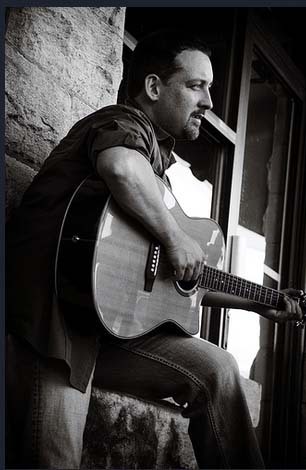 Having traveled several years with a Gospel/Country band throughout the Oklahoma/Texas Panhandle, Jeremy's singing talent was discovered professionally by Eddy Bolton (of the legendary Gospel family, The Speers) who invited him to join a group in Nashville in 1997. Jeremy spent a couple more years on the road before leaving the road to concentrate on writing and the chance to become involved in audio production, under the hand of Grammy-nominated, Dove award-winning engineer/producer, Joe Huffman, whose list of credits would be too numerous to mention. As an apprentice of Mr. Huffman, Jeremy has learned several valuable tools of the trade in creating his musical art, as well as the opportunity to work and produce other singers and songwriters along the way. Jeremy Dean considers himself a lover of songwriting with a willing voice. He enjoys listening to upcoming singers and enjoying the work of other songwriters. He collaborates as a songwriter and offers recording services for singers and songwriters both. He also enjoys playing the local laid-back venues for songwriter nights. "Unlike the forty to sixty thousand people in this town looking to break into the music business at any given time," Dean says, "I love writing lyrics, and I would still do it even if I knew I didn't stand a chance in this town. It's a part of me. I'm not a great musician, but that's the fun part...finding people to build the character of a song around quality lyrics...or finding any number of team players who can breathe life into a song. We all play a part." Dean says, "The life of the singer is still the song."